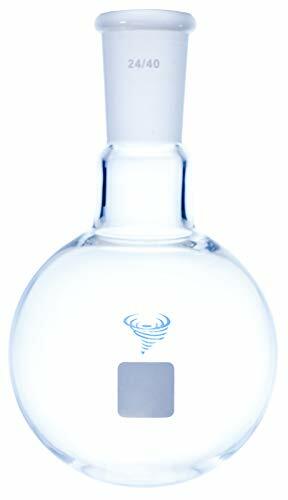 View More In Distillation Flasks. Single neck round bottom flasks can be used for a variety of applications such as capturing and collecting material and also used for boiling off material through distillation. These flasks are single neck with a ground 24/40 joint and require the application of vacuum grease to the ground surface when using the flasks in a vacuum application. When laying these flasks down it is always recommended to use a cork stand for the flask to prevent breakage and keep the flask upright.